The collection Emmemobili had been created in the 1980s by Tagliabue family. The Tagliabue firm was founded in 1879 at Cantù, and right from the start it has always manufactured top-quality made to measure furniture and multi layer panels for the aeronautics industry. Working alongside the best architects and building up solid experience meant that the company could win the Triennale design award in the 1930s. Currently the company is being run by the fourth generation of the family, sensitive towards international trends, innovative design and top-quality customized products. We do not consider wood to be just some raw material: rather, it is our way of expressing a lifestyle which is in harmony with the environment where we live. When making our products, we have always tried to show up the difference between apparent quality (which everyone knows something about) and true quality: true quality is the inspiration for our output, and it is something which only the test of time can show up. In line with this philosophy of ours, each and every individual element is carefully examined from an aesthetic and functional point of view. We also make sure they meet our durability, safety, and environmental impact standards. 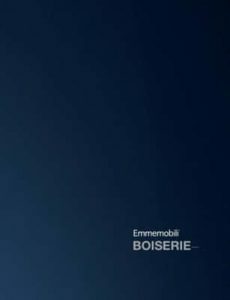 Indeed, since 1879 we at Emmemobili have been turning out items which are absolutely unique. In our constant search for perfection, we have turned to curved plywood, and this sets us out from the hoi polloi. To be able to make top-quality furniture – in terms of build tradition and up-to-date design – was certainly an ambitious target, but this is our commitment and day-to-day aim: items which will improve the quality of life of anyone who buys them, and which will give character and harmony to areas and pleasure to those who live in them. In every individual manufacturing process, we can guarantee working techniques of the highest quality. In case of curved plywood, light thin sheets of wood are coated with resins and glues and laid carefully in moulds which have been designed according to the shape we wish to achieve. Then comes the first stage of heating and pressing, so that the wood takes on the shape we want. A computer controlled machine then works on these items, which are later finished by hand. Finally, the various parts are assembled and polished. There is no way that this can be spoken of as a “production line”: these are all one-offs. Valuable woods, multi layer panels mostly, or MDF or chipboard where they are needed. The materials we use come mostly from re-planted forestry areas, or are only used in very limited quantities. Our manufacturing philosophy means that we use the latest processes for reducing or reusing waste: all wastage is put back into the manufacturing cycle as heat energy, or is sent for recycling. The glues we use do not contain formaldehyde, which is slowly released into the atmosphere, or any toxic solvents. We use varnish which has been certified by Italian or Austrian laboratories, and which guarantee good chemical, mechanical, and physical resistance. To protect the environment, we have chosen only resins and varnishes which can be dissolved in water rather than traditional solvents. These are highly technological products, which bring together all our aesthetic and protection requirements with a need to safeguard the environment and the health and safety of our staff and customers. 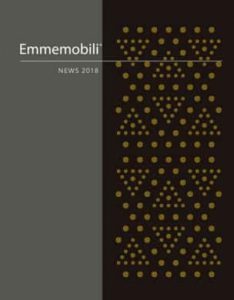 Therefore our manufacturing processes and our choice of materials mean that we can declare Emmemobili products as “environmentally sustainable”. Allure – refinement – harmony – quality, these all go together to create an atmosphere of sophistication. Top-quality objects which people in the know can recognize for their recherché design and quality build, and for their aesthetic and timeless shape, materials, manufacture, and finish. The intrinsic elegance of our product ranges means they can show off their charm, and harmonize with a wide variety of other styles. The towering personality of our finishes means that every individual item has its own character, and is not subject to the latest trend. Years of experience not just in designing shaped wood, but also in other highly specialized techniques. Wood is the backbone of our projects. Wood is strong, robust, solid. It is the Earth. It is where we all came from. Shaped wood is flexible, sensuous, feminine, the very symbol of malleability. It can be shaped, moulded, and transformed into items with no straight lines, which are a soft, elegant sign of the world to come. At Emmemobili we certainly know how to train shapes with our products. Final products are and must be a marriage between the company and the designer. Indeed, Emmemobili only makes products which play our trump card of unmistakable designs. The company works with designers in making products. All our experience means products are finely tuned and complete. The complete cycle, from prototypes via manufacture to the final product, is carried out inside the company with extremely skilled craftsmen and three-dimensional modeling software. #stripes #cabinet#newrelease #newseason LOOKING FOR THE FEATURED FURNITURE ABOVE ? CABINET model GALA / design: Ferruccio Laviani LOOKING FOR THE FEATURED FURNITURE ABOVE ? #UFO #table #juncos #lighting LOOKING FOR THE FEATURED FURNITURE ABOVE ? 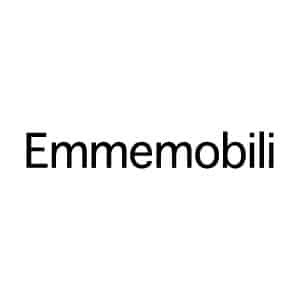 NEED MORE EMMEMOBILI INFORMATION ?